There is something about being outdoors and the delicious aroma of grilling that makes you want to gather with family and friends. 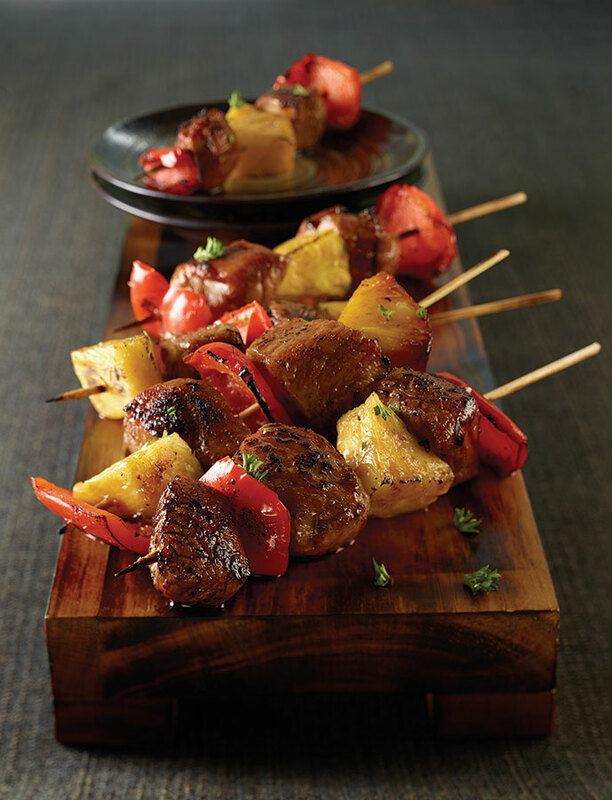 For a change from your standard grilling fare, try these kabobs on your gas grill or smoker. 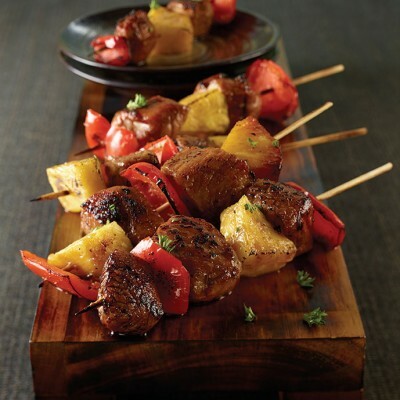 Find more summer grilling recipes at smithfieldgetgrilling.com or try a dish from our list of 9 favorite grilling recipes. Heat grill or smoker to 250 degrees. Cut pork loin into 2-inch cubes. Season pork loin, sweet onion, red bell pepper and pineapple chunks with barbecue rub. Remove kebabs from marinade bag and place on grill over indirect heat; cook 12 to 14 minutes, remove and set aside. Increase grill temperature to 400 F. Sear kebabs at high heat, until caramelized. Using meat thermometer, check pork loin cubes for doneness; remove from heat once pork reaches internal temperature of 145 degrees.